Welcome to our Catalog Highlights for April! We have had some variable weather in central Arizona, going from warm spring days to a week of very windy and colder weather that reminds us to be careful on early plantings. Make sure to give them enough protection so they survive the temperature fluctuations and grow into some tasty vegetables! Simple solutions can make all the difference, such as gallon milk jugs with the bottoms cut out to become cloches, placed over the seeds that warm the soil and create a warmer micro-climate. Black plastic placed directly on the soil after the seeds have been planted for a few days really warms the soil and prevents cold and wind from having quite the negative effects. Of course, remove it after a few days so the seedlings thrive! Using some simple early season climate protection techniques, you can get a couple of week’s head start on planting some of the cool tolerant vegetables. We highlight some great choices in this edition to tempt you and get you thinking! As we go into another planting season in our gardens, don’t forget the value of experience and knowledge that only comes from spending time in the garden and working through the challenges and failures that we all face. Every season is a new beginning, a new chance to experiment and try new things, new techniques and new varieties of vegetables, herbs and flowers. Here at Terroir Seeds, we are constantly amazed at the vast amount of traditional and proven knowledge on agriculture and gardening that have been set aside, bypassed or virtually lost. There are many ways to be successful in your garden, so work to find your own path or method of what makes sense and works for you. Your garden is unique, just as you are with its own rhythms and varieties of plants. It is natural that this conversation is beginning to happen. The conversation more often than not becomes some form of commercial vs. small scale agriculture, with both sides speaking passionately about the benefits of their systems and judiciously pointing out the shortcomings and detriments of the other systems. It becomes an either/or argument and is a great example of false dichotomy. 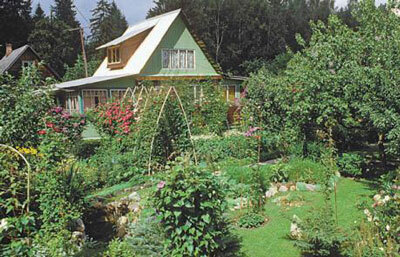 What if there was another example; one of an industrialized, well-populated country that is larger than the USA, grows about half of its total food production in home gardens in a difficult and short-season climate, with no machines or animals to help? Would that example suffice to show that local, small-scale, sustainable agriculture can be a proven, viable alternative to the industrial agriculture model? 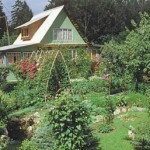 That example is Russia, and the model is called dacha gardening. It has provided food for the people of Russia for over 1,000 years, starting as mainly subsistence or survival gardening and evolving into an independent, self-provisioning model between the Bolshevik Revolution and World War II and continues into today. Russian Dacha Gardening – Homescale Agriculture Feeding Everyone examines this important question from a different perspective, opening a new conversation on how highly decentralized, small-scale food production is possible and practical on a national scale and in a geographically large and diverse country with a challenging climate for growing. There are so many reasons to start your garden from seed! 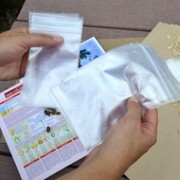 Growing plants from seeds isn’t difficult; it just takes a little know-how. Gardeners of any experience level can get a jump on the growing season with this straightforward guide. You’ll enjoy the vast variety of available seeds instead of having to choose from a limited selection of starts, and you’ll save money and enjoy greater control over the health of your plants. Barbara Ellis, an expert gardener and author of several books on gardening, offers practical advice for sowing seeds, managing seedlings indoors and out, and developing schedules that ensure your seedlings are ready to plant when the weather is right. “Starting Seeds” gives you what is needed to begin a thriving garden. We have selected this book as an intermediate step up from “Starting Seeds Indoors” by Ann Reilly. After using it and gaining some good experience, many of you are ready for a little more comprehensive book on the science and art of starting your own seeds, but don’t quite need some of the more in-depth books out there. This one fits the bill perfectly, concise, accurate and proven knowledge and experience in a medium sized book that is easy to read and return to when the questions come up. Herbs are some of the most versatile plants in the garden. From well-known culinary and medicinal uses, they also give us herbal teas, dyes for fibers and hair, perfumes, essential oils, aromatherapy, attract butterflies, honeybees and hummingbirds, among other pollinators, provide beautiful sights and scents to the garden and repel predatory nematodes and other insects. Today we are sharing several herbs and flowers that help to deter insects, especially the biting ones. You might be surprised to see one of your favorite culinary herb or flower listed as being an effective insect repellent! These are easy to grow and are usually direct sown as the soil warms up, so their time to plant is arriving soon. Chamomile – The whole plant is insect repellent both when growing and when dried. An essential oil from the whole plant is used as a flavoring and in perfumes. Has antibacterial, anti-fungal, and antiviral properties. Mint – Repels flies, fleas, mice, rats and ants. 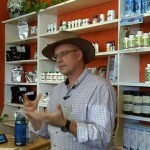 Mountain mint rubbed on pants can deter chiggers and ticks. Pennyroyal – The smallest member of the mint family with an odor that is far more pungent than other mints, which makes it disagreeable to insects, and pennyroyal has been used as a natural insect repellent for centuries. Lemongrass – Citronella is an essential oil derived from lemongrass, and it’s one of the most beloved mosquito repelling substances around. Lavender – Great for repelling flies, mosquitoes, gnats, and other pests. You can even rub some lavender oil on your pets to help prevent fleas. Repels flies, silverfish fleas; add to sachets and hang in the wardrobe. Basil – Gardeners have noticed biting insects are fewer around basil. Crushing a few leaves and rubbing them on clothing keeps the scent with you. Geranium – Repels a wide variety of insects. 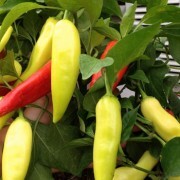 Grown in a garden, they repel mosquitoes, making it possible to enjoy your yard in the mornings and evenings. Planted in flower beds, geranium plants also repel common pests that can damage plants, such as beetles, and are thus often used as companion plants for many fruits and vegetables, including cabbage and tomatoes, as well as alongside roses. Feverfew – Add these pretty daisy-like flowers to your garden to repel a variety of pests. 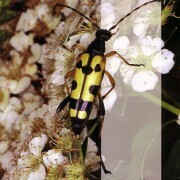 It can also be worn as a spray, or even used to treat insect bites. Tanacetum genus (pyrethrum, Tansy, Feverfew) – repels moths, flies, ants, mice, mosquitoes, cockroaches, mites and bedbugs. Tansy is a strong herb suitable for growing around doorways to act as an insect deterrence. Pyrethrum is a key ingredient in insect sprays. Feverfew is a good insect repellent and is also used for treating insect bites. Catnip – A natural mosquito repellent, the essential oil in catnip – nepetalactone – is 10 times more effective than DEET! While catnip will repel mosquitoes in close proximity to the plant, some people apply crushed catnip leaves or catnip oil for more robust protection. Bear in mind, however, that cats will respond to you similarly as they would respond to the plant itself. Cat owners may want to choose an alternative plant for repelling mosquitoes. Rosemary – The oil of this fragrant wood makes a very effective mosquito repellent. 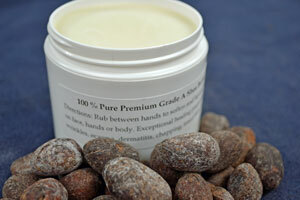 Rub a spring on clothes or run hands along the branches, picking up the oils and rub them on skin. Lemon Bee Balm – An adaptable perennial plant which repels mosquitoes much the same as citronella. It gives off a strong incense-like odor which confuses mosquitoes by masking the smell of its usual hosts. Bee Balm leaves can be dried and used to make herbal tea. 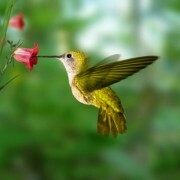 Its flowers will also attract bees and butterflies to your garden. Marigold – Hardy annual plants which have a distinctive smell which mosquitoes, and some gardeners, find particularly offensive. Marigolds contain Pyrethrum, a compound used in many insect repellents. Besides repelling mosquitoes, marigolds repel insects which prey on tomato plants, so you may want to plant a few marigolds in your tomato bed for added protection. While we are still in the cooler months before our gardens warm up for the warm-season transplants, there are still some tasty vegetables that can be planted! Most of these vegetables will withstand light frosts and can be direct-sown in your garden now. The critical factor is a soil temperature of 50-55° F needed for germination. Don’t worry too much if your soil temperatures are still a bit low, the germination will be slower, but they will still come up strong when things warm up a few degrees. Here are three excellent guides to help with planning and planting of the different crops in your garden – Old Farmer’s Almanac, The Garden Planting Calendar from All Things Plants and First and Last frost dates from Dave’s Garden. Just plug in your ZIP code for some great information. Beets 35 days for greens, 50 days for mature roots. Broccoli transplants 60 days from transplanting date. Usually 10 – 14 days for starting seedlings for transplants. Cabbage transplants 60 days from transplanting date. Usually 10 – 14 days for starting seedlings for transplants. Greens Mix 25 days for baby greens, may be cut, re-grown and re-harvested several times. Lettuce 60 days mature, 30 days from transplanting date. Usually 10 – 14 days for starting seedlings for transplants. Lettuce Mix 30 days for baby lettuce, may be cut, re-grown and re-harvested several times. 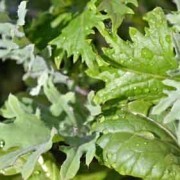 Mustard Greens 21 days for baby greens, or 45 days mature, may be cut again. Pak Choi Cabbage 70 days, or 50 days from transplanting date. Usually 10 – 14 days for starting seedlings for transplants. Peas, Snow Peas, Snap Peas 60 days. Spinach 30 days for baby spinach, 45 days mature, may be cut again. For the cool-season vegetable transplants, start them inside and transplant when they are 3 – 4 inches tall to get a jump on the germination.